FTP is a network protocol that is designed specifically for file transfer. To be able to use this protocol, you need both a FTP server on the server side and a FTP client on the client side (PC). FTP is commonly used by webmasters to upload files to server or vice versa, to download files from server to local computer for an offline backup. If you use Windows 10, there are several file managers for Windows 10 that have a built-in FTP client which allows you to transfer files using FTP protocol without installing additional app. Like Directory Opus and Free Commander. And of course, there are also tools that are developed specifically to be a FTP client with richer features and capabilities. Following are 9 FTP clients you can use on Windows 10. 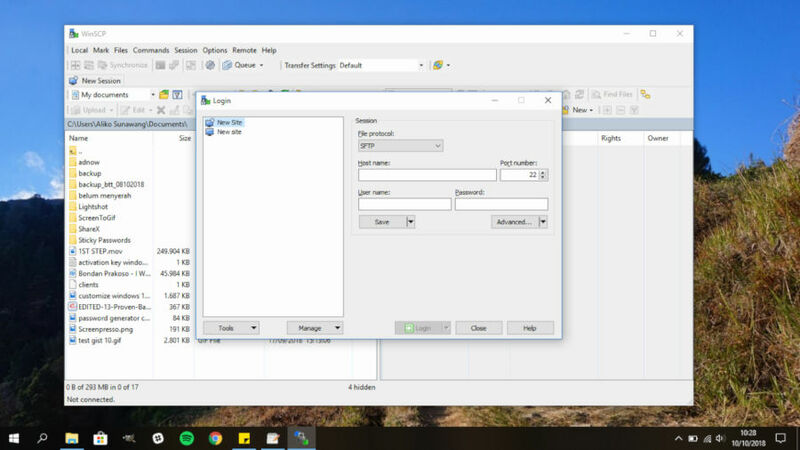 WinSCP is a free FTP client developed specifically for Windows platform. According to a brief introduction on the official site of WinSCP, this tool has been downloaded over 115 million times. Indicating that WinSCP is popular enough. 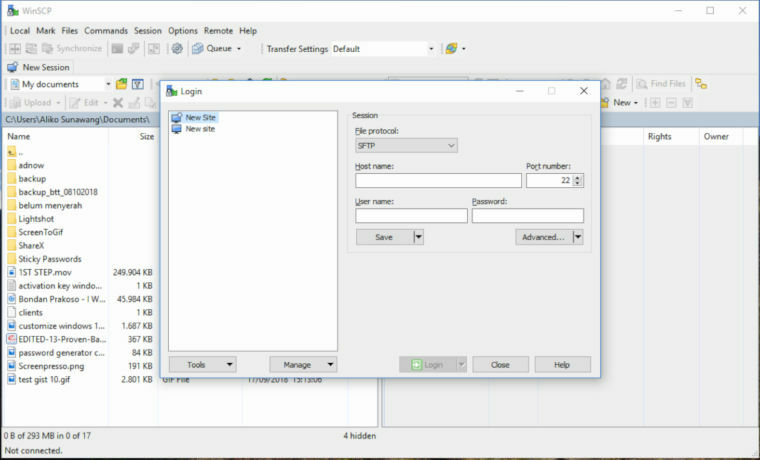 WinSCP itself comes with a dual-panel interface. Left panel to display the local files while the right one to display files stored on the FTP server. This tool offers a drag and drop functionality. To copy files from server and vice versa, you can simply drag and drop the files you want to copy. WinSCP itself supports several file transfer protocol other than FTP. Including SFTP, SCP, WebDAV and S3. 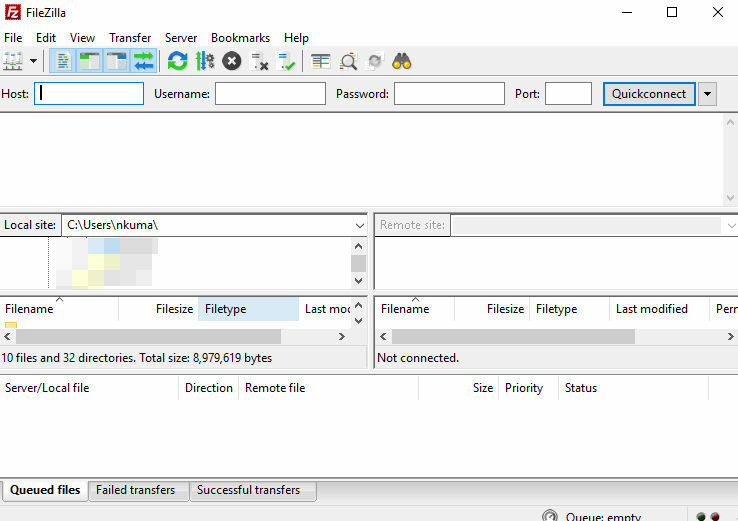 WinSCP supports resuming file transfers, but only applies for FTP and SFTP protocols. Other features offered by WinSCP include file encryption, task automation and so on. Core FTP is a freemium FTP client for Windows 10. 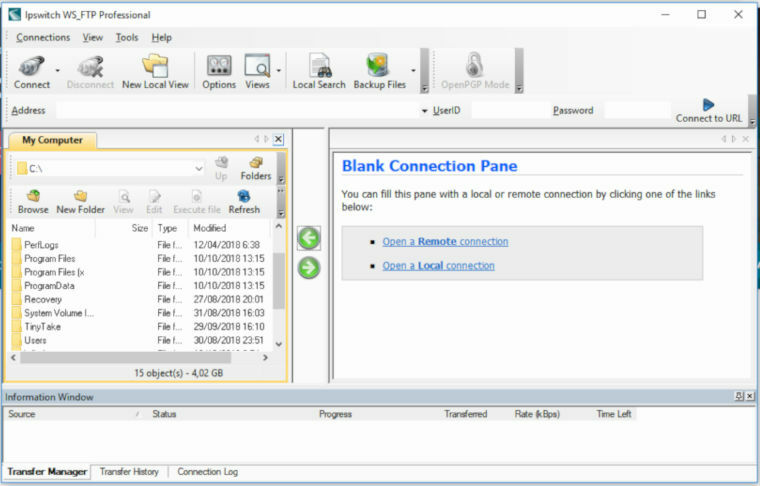 It also comes with a dual-panel interface with drag and drop functionality like WinSCP. For basic uses like uploading files to server, free version of Core FTP is enough. The free version of Core FTP already supports transfer resume to allow you to pause the ongoing transfers. If you need more advanced features, you can upgrade to pro version which will allow you to encrypt and decrypt files to servers, schedule ftp transfers and create a ZIP file. The site manager feature offered by Core FTP is pretty handy if you have several FTP servers to handle. SmartFTP is a premium FTP client for Windows. The latest version of this FTP client fully supports Windows version 101809. There is a 30-day trial period to figure out if this tool really suits your need. One of the advantages of SmartFTP compared to two first FTP clients above is that SmartFT supports more file transfer protocols. In addition FTP, SmartFTP also supports FTPS, SFTP, WebDAV, Amazon S3 and Backblaze B2. 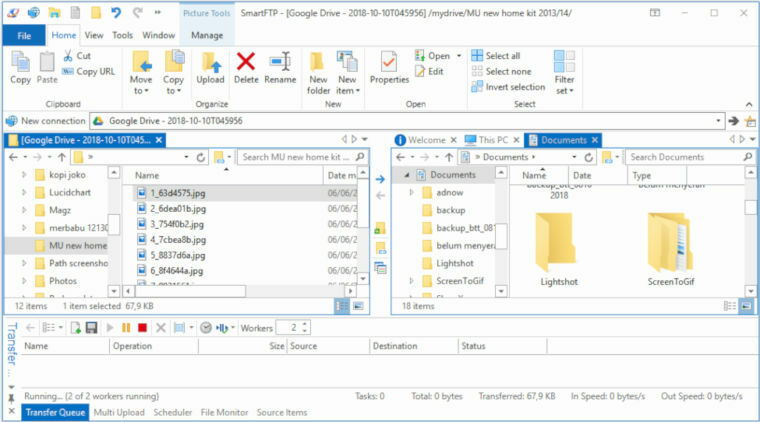 Furhtermore, you can also use SmartFTP to copy files from your Google Drive account to local storage. Other cloud storage supported by SmartFTP are OneDrive and box. SmartFTP also comes with a dual-panel interface as well as drag and drop functionality. It also supports transfer resume. To be honest, SmartFTP is a cool FTP client, but again. It is a premium tool. Cyberduck is an open source FTP client, but instead of Linux, this tool is developed specifically for Windows and Mac. You can download the binary file of Cyberduck for Windows 10 on its official site. Alternatively, you can also install Cyberduck from Windows Store. Cyberduck itself can be used for free but paid version is also available. Same as SmartFTP above, Cyberduck also supports plenty of file transfer protocols. File transfer protocols like SFTP, S2 and WebDAV are supported by this tool. In addition, Cyberduck can also be used as a client app for Google Drive, Dropbox and OneDrive like SmartFTP. Cyberduck is a bit different to three tools above. It doesn’t offer drag and drop functionality. This FTP client comes in a single panel interface. Cyberduck itself is released under the GNU GPLv3 license. You can follow the development cycle of this tool of download its source code on its GitHub page. 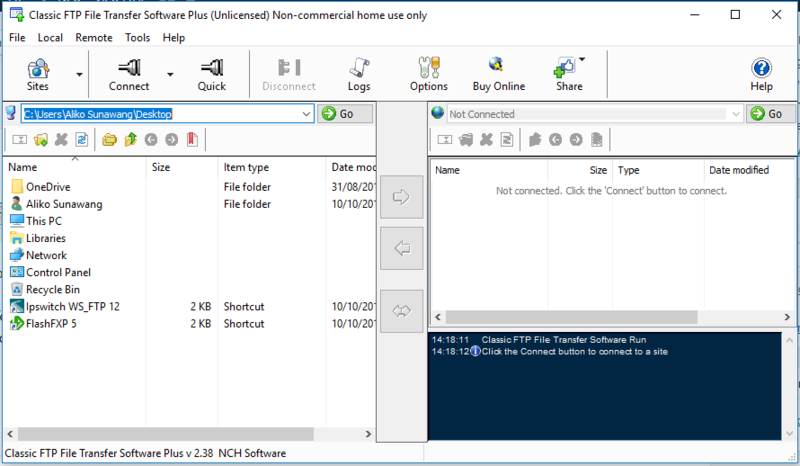 FlashFXP is another FTP client that comes with a dual-panel interface as well as drag and drop functionality for easier file transfer. It can be a great tool if you are a webmasters with several websites to maintain. FlashFXP offers a site manager that you can use to save the IP addresses as well as FTP usernames of the sites you handle. At the time of writing, FlashFXP only supports FTP and SFTP protocols. In FlashFXP, you can also pause the ongoing transfers and resume them later. FlashFXP itself is a premium tool. There is a 30-day trial period offered by this tool. WS_FTP Professional is premium FTP client. There is no option to use this tool for free unless during the 30-day trial period. WS_FTP Professional actually comes with standard features. It only supports FTP and SFTP protocols. You can also transfers file from local storage to server or vice versa easily thanks to its drag and drop functionality. WS_FTP Professional can also be a good tool to maintain multiple websites since it also offers site manager. According to a brief introduction on its official site, WS_FTP Professional has been downloaded over 40 million times. CuteFTP is another premium FTP client for Windows 10. CuteFTP is particularly a suited FTP client to backup your files. It supports scripts to regularly backup or synchronize your sites, and monitor local folders for changes. Drag and drop functionality is also available on this tool. Not much file transfer protocols supported by CuteFTP. Only supports FTP and SFTP. Features like site manager and bookmark are available to manage your FTP logins. 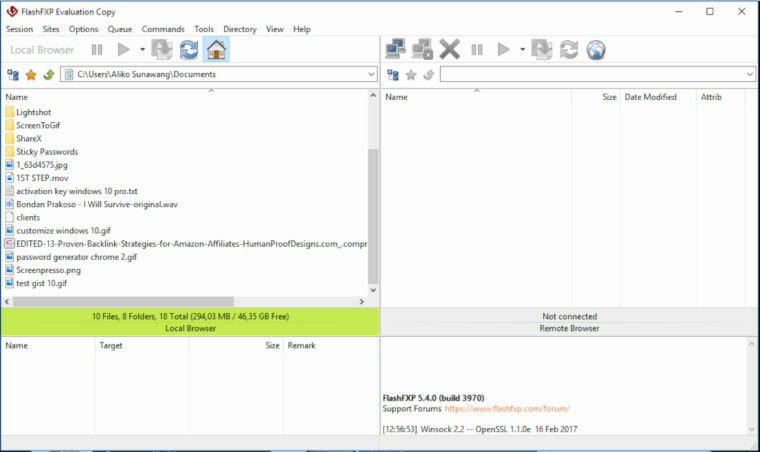 FileZilla is a cross-platform FTP client. Windows 10 is one of the platforms supported by this tool. FileZilla used to free, but today premium version is also available with more file transfer protocols support. Like WebDAV and S3. Premium version of FileZilla can also be used as a client for Google Drive, Dropbox, OneDrive and Microsoft Azure Cloud. 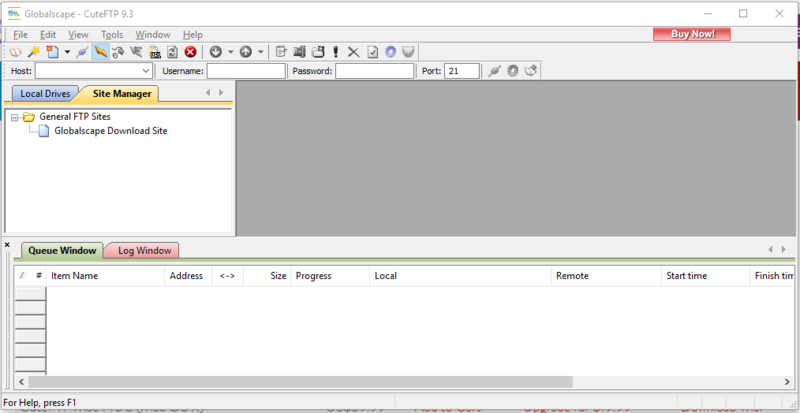 FileZilla itself also comes with a dual-panel interface with drag and drop functionality for easier file transfer. Classic FTP is a FTP client that you can use for free. It comes with a dual-panel interface as well as drag and drop functionality for easier file transfer from local storage to server and vice versa. Classic FTP offers site manager in case you are a webmaster that is responsible of managing several sites. Classic FTP itself is a freemium tool. You can use it for free, but restricted to personal use. This FTP client only supports FTP and SFTP protocols.